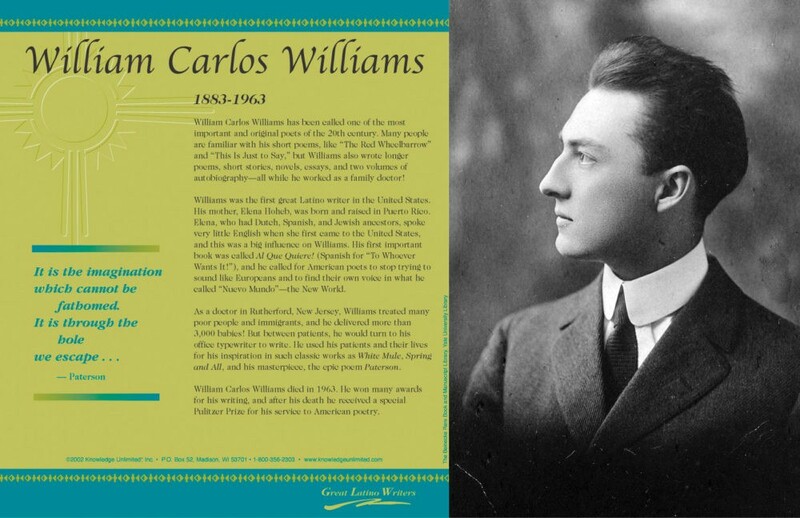 This language arts poster of author William Carlos Williams is one of a series that focuses on great Latino writers. 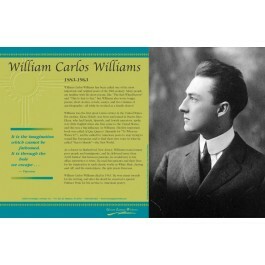 William Carlos William has been called one of the most important and original poets of the 20th century. His mother was born and raised in Puerto Rico and spoke very little English when she came to the United States. This had a big influence on Williams. As a doctor in Rutherford, New Jersey, Williams treated many poor people and immigrants. But between patients he would return to his typewriter to write, using his patients and their lives as his inspiration. The poster features a photo of a young Williams, biographical text, and an excerpt from his epic poem, "Paterson."